If you have a student wanting to go to college, then homeschool scholarships are always a good idea. If you've never had a student go to college, be sure to fill out your fafsa financial aid form on January 1st with your estimated income and then update the form as soon as you have your taxes done. Financial aid is on a first come first serve basis, so the earlier you get it in, the better chance you will have of getting aid. Make sure you triple check the form for errors though, because if you have to revise it after the financial aid award letters are sent, it is a problem to get that fixed. While there are some homeschool friendly colleges, there are more and more colleges and foundations offering homeschool scholarships each year. I will list as many here as I can find. The more places you apply, the better chance you have of getting the most money in aid or scholarships. 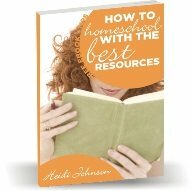 Homeschool Nation - They are offering a $1000 scholarship to a homeschool student. All they have to do is fill out a profile and state why they deserve the scholarship. The deadline for application is April 13th. Amridge University - Need a 3.0 GPA but can be awarded up to 35% of tuition. Bryan College - a nonrenewable scholarship for $1000 is available here. Must be homeschooled at least the last 2 years of high school. Central Christian College - $4500 available to students who meet GPA and testing requirements. Covenant College - $1000 renewable scholarship available with option for renewal with a 3.0 GPA. Criswell College - Various scholarships available here. Faulkner University - $2500 scholarship available. FPEA Scholarship Fund - Must be a member of the Florida Home Educators Association. $1000 scholarships available. Highland Community College - $500 scholarship available. Your student will need to write a short essay to apply for this one. Hobe Sound Bible College - $350 per semester available with ACT and SAT requirements met. Houston Baptist University - $1000 renewable scholarship for members of the Eta Sigma Alpha National Home School Honor Society. KCI Scholarship Essay contest - $1000 scholarship available for families who are members of the Organization of Virginia Homeschoolers. Le Tourneaux University - 15 renewable $3000 scholarships available here! Mont Calm Community College - They are offering 5 $500 scholarships as part of the Beth Anderson Memorial Home School Scholarship. Nyack College - Up to $2000 available to homeschool students. Oral Roberts University - Students must be homeschooled for all 4 years of high school to be eligible for this $2000 scholarship. Patrick Henry College - $1000-1500 scholarships available to homeschool students whose parents have been members of HSLDA for all 4 years of their high school. Must have excellent academic records, have a financial need, and be active in community service. San Diego Christian College - $2000 scholarship available. Must be homeschooled at least 3 out of 4 years of high school. Simpson University - $1000 available each year for students who were homeschooled at least 75% of high school. Sonlight Homeschool Curriculum also offers some nice homeschool scholarships to students. Just type "scholarships" in the search box at their site. Southern Virginia University - Up to $10,000 renewable scholarship available here with proper criteria. Toccoa Falls College - $5500 renewable scholarship with minimum ACT and SAT requirements. Renewal available with 3.0 GPA. Tyndale Theological Seminary and Biblical Institute of Learning Center of West Palm Beach - 50% off tuition scholarship available along with a 100% homeschool parent tuition scholarship available for someone choosing a Christian Education major. University of Washington - $500 scholarship available. Offered by a current student who was a homeschool graduate. University of Wisconsin - Rock County - Scholarship available. Essay required and must have been homeschooled at least one year. Victory University - They match state scholarships 2:1. Washington Bible College - Scholarships available to homeschool students who were homeschooled at least their junior and senior years of high school. William Jessup University - $5000 available and renewable with a 3.0 GPA. I'm sure that there are many more homeschool scholarships out there, but these are a few that I have heard about. As homeschooling continues to grow, I'm sure more and more schools and foundations will offer scholarships to homeschool students too. You can also try a program called Fastweb.com that is free that finds scholarship matches for you based on a questionaire. Another great option available to all students is a program where you can get your college degree in as little as 2 years for less than $15,000!College Plus is a wonderful program that allows anyone, whether they are in high school or college age or even a parent, to earn their degree from home for much less than any other options I have have ever seen.